Australia and Canada’s trade relationship extends back to 1895 when John S Larke was appointed Canada’s First Trade commissioner in Sydney. The Canadian Australian Chamber of Commerce was established in 2005. Jack Cowin was born July 13th 1942 in Windsor, Ontario, Canada and has been an Australian citizen since 1981. He graduated in 1964 from the University of Western Ontario (London, Canada) and in 2000 received an Honorary Degree – LLD from the University. In 2011 he received the University Alumni Professional Achievement Award. Jack started out in Toronto, Canada selling insurance but always had a clear desire to get into his own business, to have control over his own destiny. 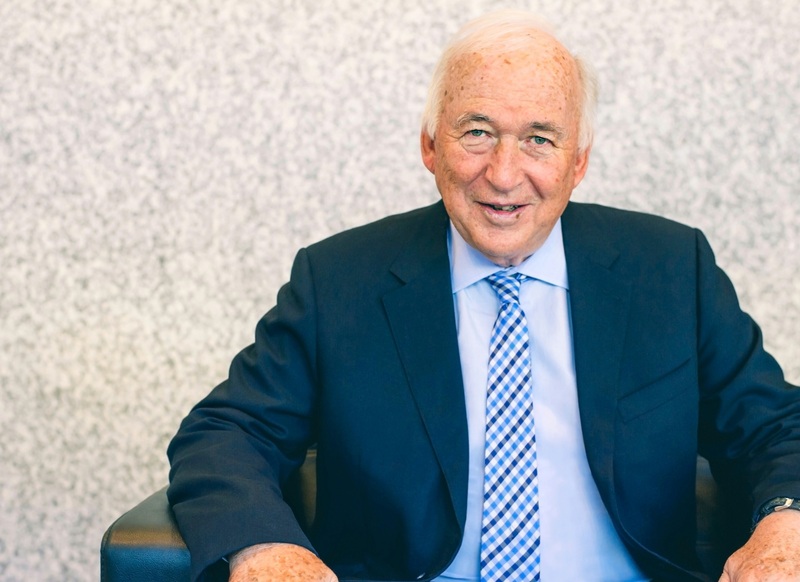 Jack moved to Australia at the age of 26 and opened his first KFC store in 1969 Jack is now the chairman and managing director of the CFAL group of companies which has sales revenue of $1.4 billion and net shareholders funds of $600 million. Jack is also the owner of Hungry Jacks, the Burger King master franchise holder for Australia, with 360 restaurants and five manufacturing plants which produce frozen meat products and processed vegetables for the supermarket and food service industry and exports to 26 countries for which it has won several Australian Export Awards. Jack is a former director of the TEN Television Network and Chandler MacLeod. He is currently a director of Fairfax Media and Chairman and largest shareholder of Domino’s Pizza Enterprises. He also is a Director and 40% shareholder of BridgeClimb – a major tourist attraction in Sydney. Jack has business interests in Canada including being the major shareholder in Lone Star Texas Grill restaurants and Skyway, which supplies scaffolding and related products to the Canadian construction and industrial market. He is a Director and Shareholder of the SirCorp Restaurant Group (Jack Astor’s). In the U.S Jack is the major shareholder in a transportation company called RCX (Rail Crew Express) based in Kansas that operates 1000 vehicles as a crew hauling service to the major USA railways. The Canadian Australian Chamber of Commerce (CACC) is a not-for-profit volunteer based organisation whose focus is to build and strengthen trade, investment and business connections between Australia and Canada. The Chamber is pleased to present the volunteer members of our various Committees. With over 20 years of experience in corporate, specialising in Human Resources & Talent Acquisition, Mel decided to start her own business venture in 2016. She is the Founder of Thread, a professional mentoring app that connects mentors with mentees – “think Tinder meets LinkedIn“. Doug was appointed CEO of Commonwealth Bank Group Super in 2010. Doug and his team support the Trustee Board in the development and execution of strategies which sustain the financial well-being of 75,000 past and present employees of the Group. His introduction to the superannuation industry was through his time at Australian Administration Services where he served as GM Strategic Operations and Risk Management in the mid-2000’s. Lesley Gillespie is Director of Bakers Delight Holdings Ltd which oversees all bakery operations across 4 countries (Australia, New Zealand, Canada and USA) as well as a Director and co-owner of the grocery clearance chain, NQR based in Victoria Australia with 21 outlets. Michael is a Partner in Piper Alderman’s Cryptocurrencies and Blockchain Group based in Sydney. The cryptocurrency and Blockchain space presents unique challenges merging cutting edge technology and a challenging regulatory space as rapid development and adoption of this exciting technology occurs. Ross is a member of FEI Canada where he was past Chair, FEI Canada’s Private Company Finance Committee and is an accredited member of Australian Institute of Company Directors. Monica is the Co-owner and Director of Mojologic – a niche training consultancy business focused on the art and science of influence. Monica is a sought after consultant, facilitator and speaker who works with companies like AMP, Macquarie Bank, EY, Qantas and Suncorp to motivate and empower change.